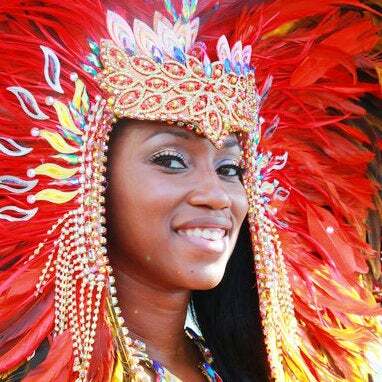 Maxine Magdaleno is the team leader for Suga Candy Mas Camp, one of the many bright and vibrant facialites set up to provide gorgeous costumes and planning for the legendary West Indian Day Parade held in Brooklyn, NYC. We went behind the scenes to check out all the glitter and chaos as Maxine and her models got ready for the big day! 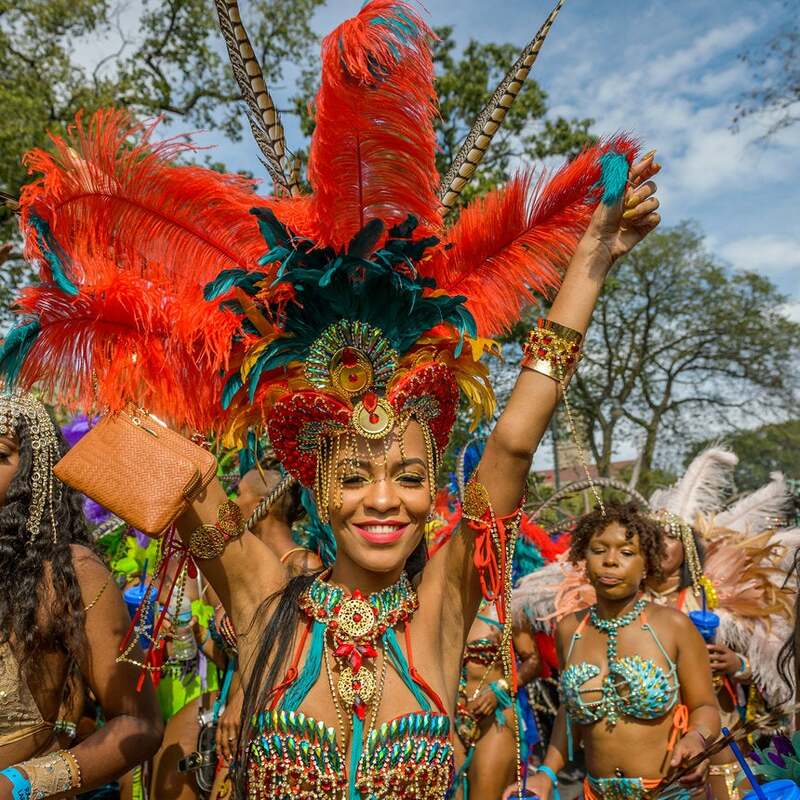 Over Labor Day weekend, Brooklyn was transformed into a technicolor dream, as beautiful black women and men gathered to celebrate their heritage, carnival style, at The West Indian Day Parade. See our favorite pics here! 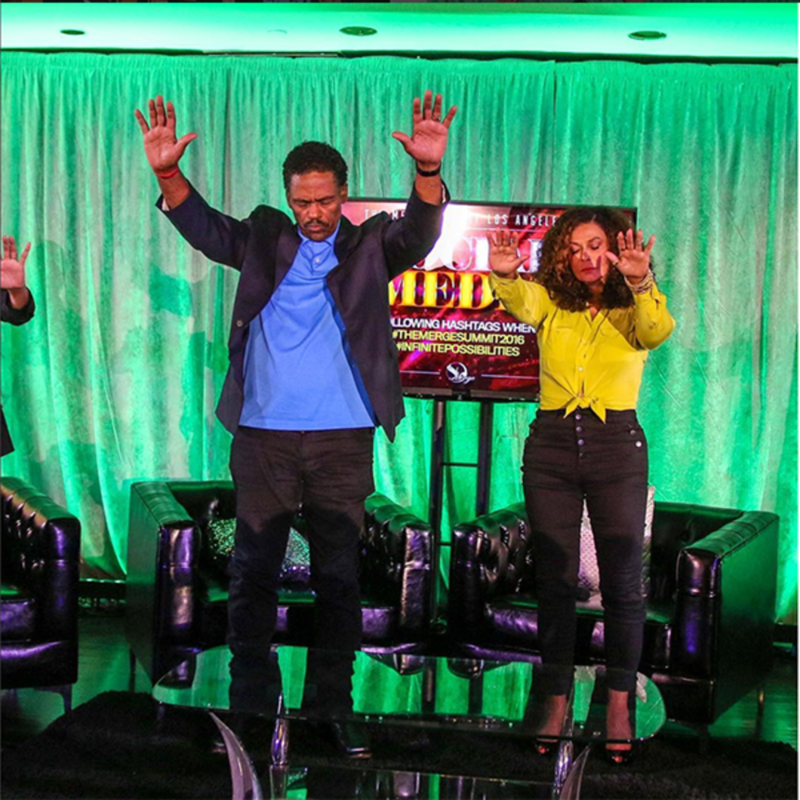 Celebs from Tina Knowles Larson to Meagan Good spoke and prayed at The Merge Summit, a unique event created to inspire synergy with faith based and entertainment industry leaders to educate, uplift, and encourage attendees to aspire towards their professional and personal goals. The Three Day Summit kicked off with a star studded Gala athat included a special screening of "Birth of a Nation.” See all the celebs who made an appearance! Notting Hill Carnival, one of the largest street parties and festivals in Europe, is a vivid spectacle representing London's multicultural past and present. We sent local photographer Tia Simon-Campbell to capture the gorgous men and women out in the streets and lavish costumes. Get lost in a slew feathers and color! If you're in need of a new muse for your fitness vision board, look no further than Teyana Taylor. Since the explosive premiere of "Fade" at this year's VMAs, the world has become predictably infatuated with her body, but of course, we've been on. Whether she's killing a stage performance, spending time with family or hitting the beach with friends, Teyana's inner and outer beauty have been inspiring us for years. Check out some of her most bodacious moments below. We're SO here for a new show! 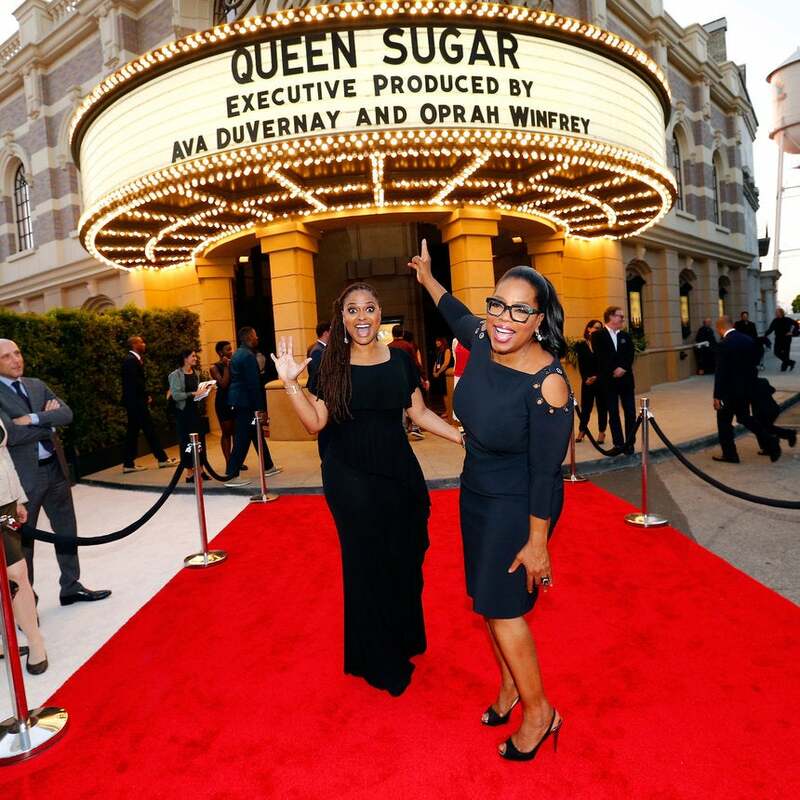 Oprah Winfrey and Ava DuVernay happily hosted an exclusive screening of their new and highly anticipated TV Drama, “Queen Sugar.” The series, which chronicles the lives and loves of three estranged siblings, will debut as a two-night event on Tuesday, September 6 at 10 p.m. ET/PT on OWN. Check out all the fun on the star-studded red carpet. Pretty much everyone is team "AubRih!" When Drake professed his 8 years of love for Rihanna for the entire world to see at this year's MTV Video Music Awards, we just about died. After further investigation, we discovered there is a crazy amount of photographic proof that he's always pined after her. Click through and prepare to swoon! 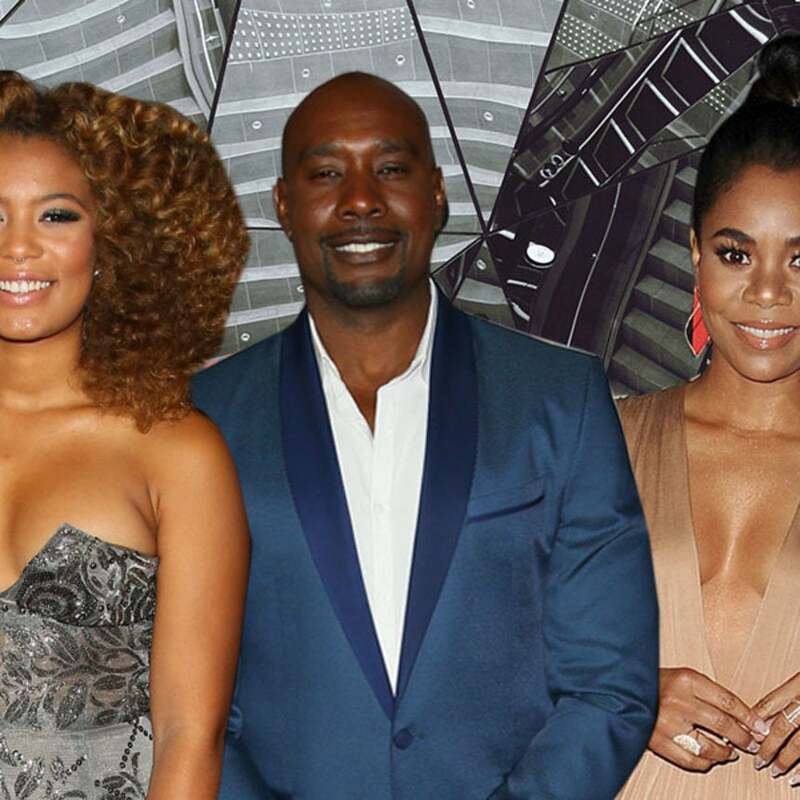 Sanaa Lathan, Lorraine Toussaint and more black stars came out to support fellow actors Morris Chestnut and Regina Hall in their new film, 'When The Bough Breaks." Check out all the other celebs that made an appearance at the swanky L.A. Premiere. Following a controversial ban on the burkini -- a swimming outfit mostly worn by Muslim women that covers the body, except for the face, hands and feet -- in more than 15 French towns, women all over the world have decided to band together to dismantle xenophobia. Supporters spanning from Great Britain to Belgium and everywhere in between gathered to call for the repeal of this oppressive law by the French Government. 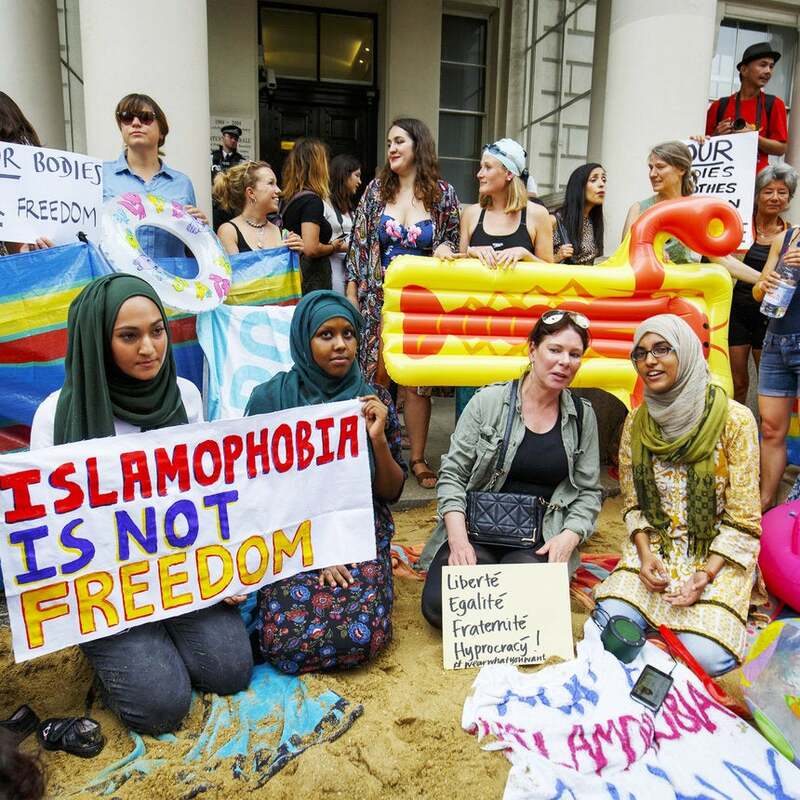 Here's a look at the brave women combating racism and Islamophobia. Afropunk -- the annual Brooklyn-based music festival created to celebrate blackness in the alternative music scene and the storied culture and fashion that comes from it -- was its usual haven of black love and joy this year, but the artists who headlined the event took it to another level. Bringing out the crowds (complete with intricate jewelry, unique fashions and obviously the best hair) performers from Kelela to Ice Cube showed a range of musical styles from Black artists, confirming that we can do it all. Check out 10 artists whose performances set Brooklyn's Commodore Barry Park on fire. There's truly no place like AFROPUNK! We always look forward to seeing beautiful black women at the music festival and this year did not disappoint. Prepare to fall in love with all of the hair moments we captured this past weekend. Check out all the cutest and most stylish couples we spotted at this year's AFROPUNK Festival in Brooklyn. The Fellas Really Brought it at AFROPUNK! Watch out ladies! The guys gave the girls a run for their money at this year's AFROPUNK Festival, stepping it up in the fashion and overall coolness department. Get ready to swoon! The street style at AfroPunk isn't just about the ladies (although they definitely slay) -- we also spotted plenty of fellas with enough swag to make us stop in our tracks. While their outfits were definitely on point, we were really crushing on their hair. Check out all the marvelous man manes we loved at the 2016 AfroPunk festival. We can't get enough of Beyonce and Blue! 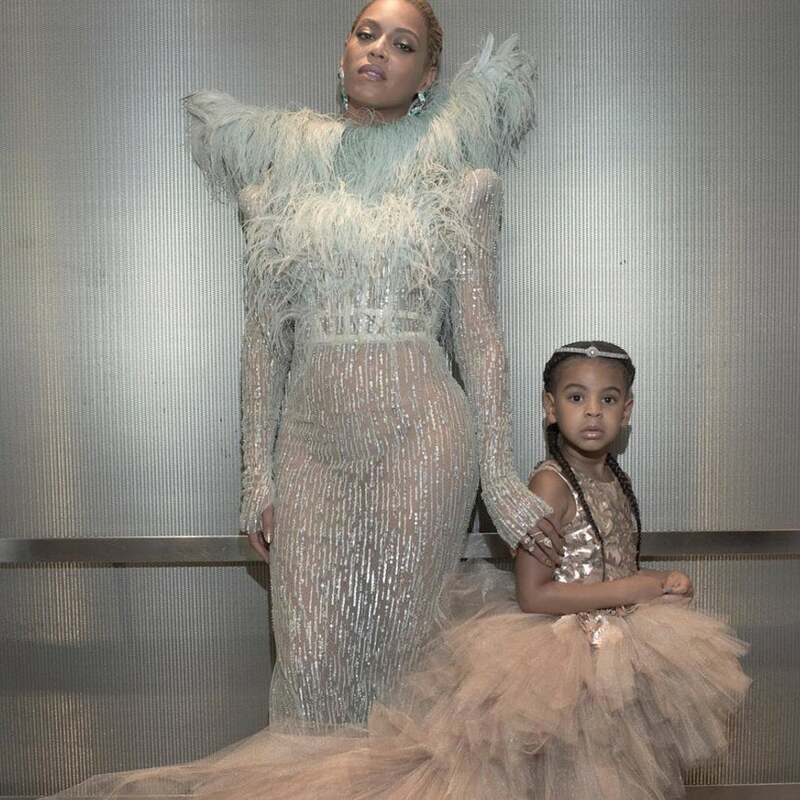 The Carter women had a mommy-daughter date to the VMAS this year, arriving on the white carpet in a blur of pastels, tulle and fur. Clearly, we loved every second. 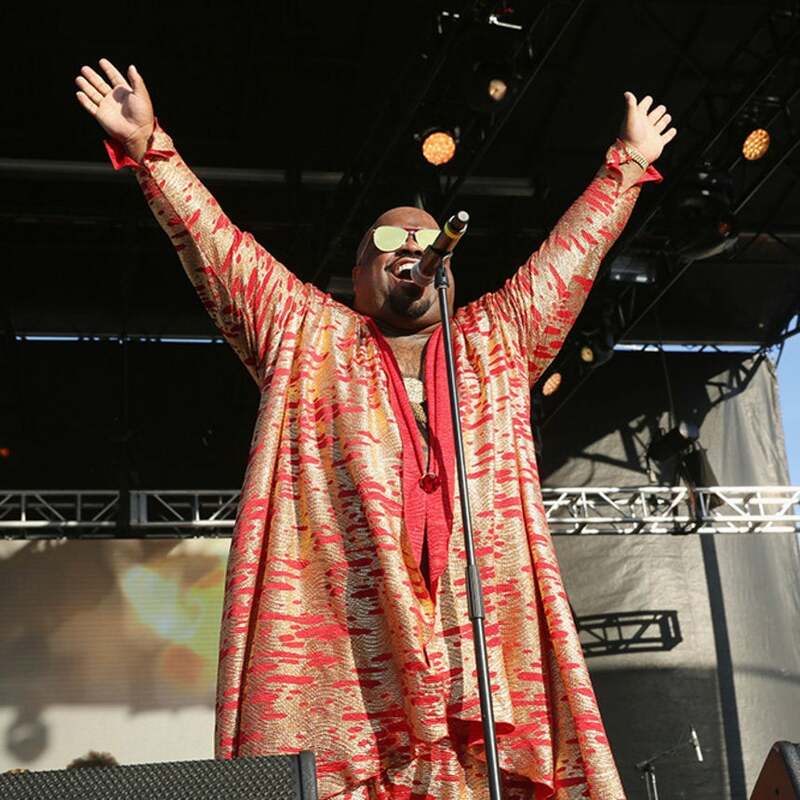 This year's AFROPUNK Festival at Commodore Barry Park in Brooklyn did not disappoint. Chic, conscious, and gorgeous black women were out in droves, celebrating the beauty and diversity in people of color. Get ready to see some jaw-dropping looks! There's more to Nashville than honky tonk and country music. The bounty of art galleries, cool shopping areas and delicious food coax travelers and celebrities alike for a weekend or more of good 'ol southern fun. 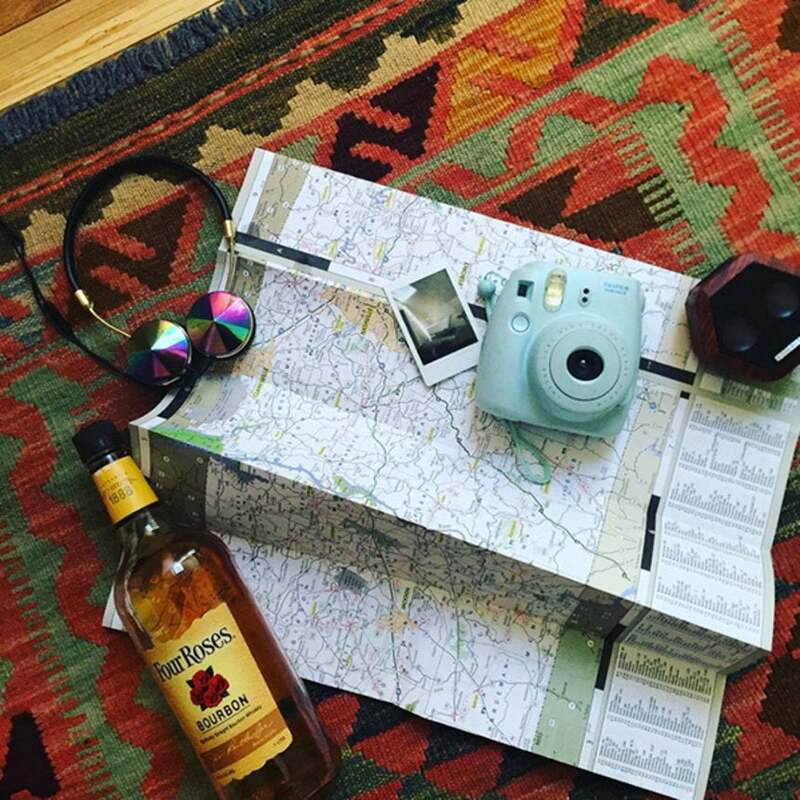 Get some travel inspo from this ESSENCE Editor's 3-day trip to this music mecca.